Through the years, website design, web development, search engine optimization, and pay-per-click management have been the cornerstones of our firm with a full service web support model. These services have also included related specialties such as logo design, graphic design, mobile responsive design, and various other website design, development, consultation, and digital marketing solutions. As we’ve continued to grow as an agency, adding more experts, and evolving into new service areas, we’ve become well known for additional, complimentary services, such as social media marketing, email marketing, local search listing optimization, and public relations services. Bringing together a full suite of solutions to help any business dominate the marketplace while all being managed in one place. Our professional team of website designers in Fort Lauderdale has the unique combination of skills, experience, and dedication to build high-end websites that are fully responsive on desktop and mobile with firm branding and interactive web design strategies. 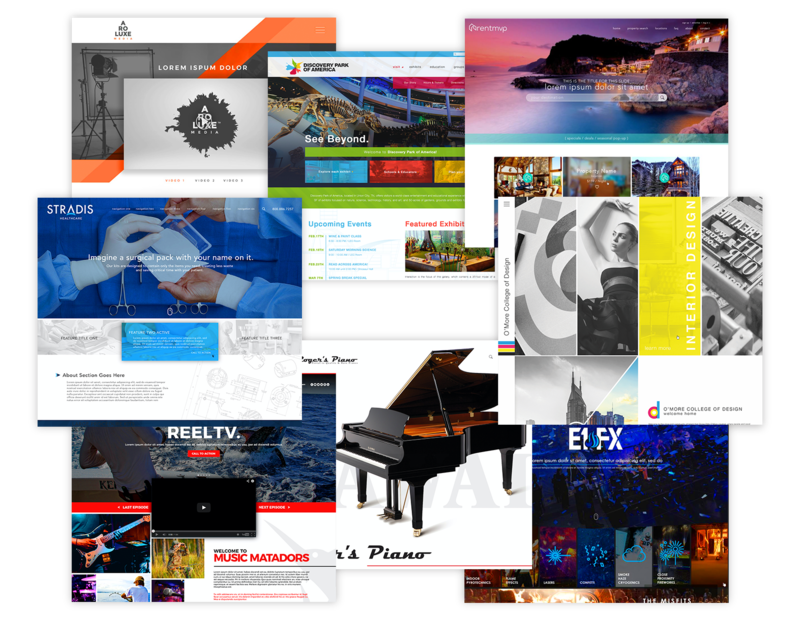 We develop and implement features that are customized for your particular website including video animations, advanced image galleries, rotating banners, video inlays, integrated events, booking modules, private pages, calendars, MLS feeds, etc. Once your website is designed and developed, our proven Fort Lauderdale digital marketing strategies can be coded into or linked with your website. For example, automated submissions to over 100 search engine directories, social media sites, and mobile devices! Other powerful digital marketing options are SEO management and Adword campaigns. One-on-one collaboration with our custom web site design team to create an image that fits the business, creates the right user experience, is compelling and competitive. A powerful online brand. Ongoing and on-demand website modifications and digital marketing. Websites are designed and built for scalability and flexibility for your business. You can start where you need to and make improvements and scale as needed without having to redesign the website. Manageable and affordable website technology. At JLB Florida, we provide exceptional Fort Lauderdale SEO services. We design and develop websites that are SEO-friendly, compliant, and ready for on-going optimization. A responsive website is one that responds accordingly to the device it is being viewed on. Responsive website design is a necessity for modern websites as users can be quickly turned off by a site that doesn’t function properly on a smartphone or tablet. As the use of smart phones, iPads and tablets began to grow, it became necessary to build a mobile version of your website. Now, it’s critical to have a responsive website design. Is a Responsive Website Design Necessary? People want what they want and they want it now. If people want information about your company product or services, they want to be able to access it immediately and they want that experience to be enjoyable. If you lost even a single customer because they became frustrated while viewing your website on their phone or mobile device, what would it cost you? What if it was a customer a week? If your site isn’t doesn’t have a mobile responsive website design, it’s virtually guaranteed that you are losing business! If your current website design was built prior to 2012, chances are you are ready for an upgrade to a responsive website design. We don’t want you to miss out on even a single potential customer. You work too hard for that to happen. Let us give you a fresh new look, a new web design that is mobile responsive and powerful. We’ll create you a new responsive website, we’ll optimize it to convert your traffic into revenue, we can perform SEO so the search engines rank you well. Get started today.